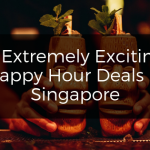 If you think beaches are just mainstream over crowded tourist destinations, you are only half correct. 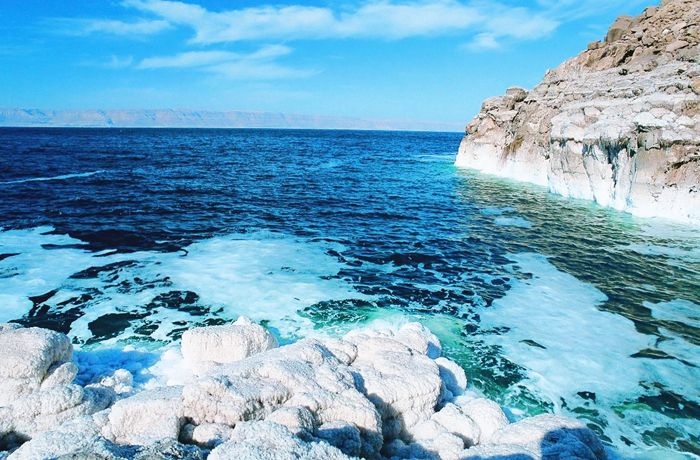 Here are the world’s strangest beaches. 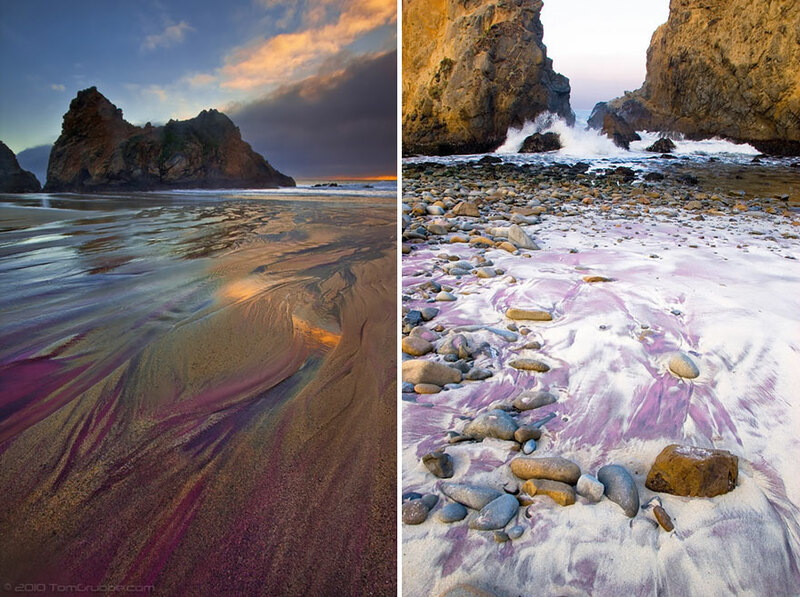 Some of the most amazing and unusual beaches you can find and sure would love to visit! 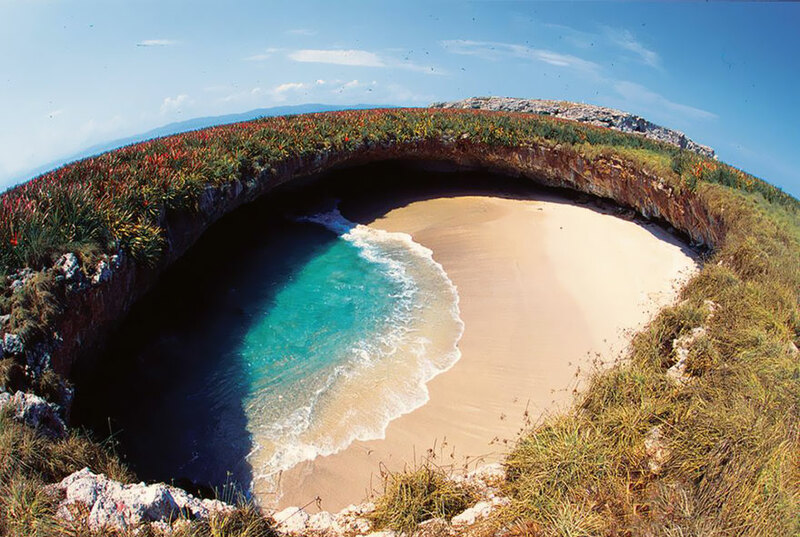 This strange beach, hidden in a hole is supposedly a result of bombings carried out by the Mexican Government in the early 1900s. 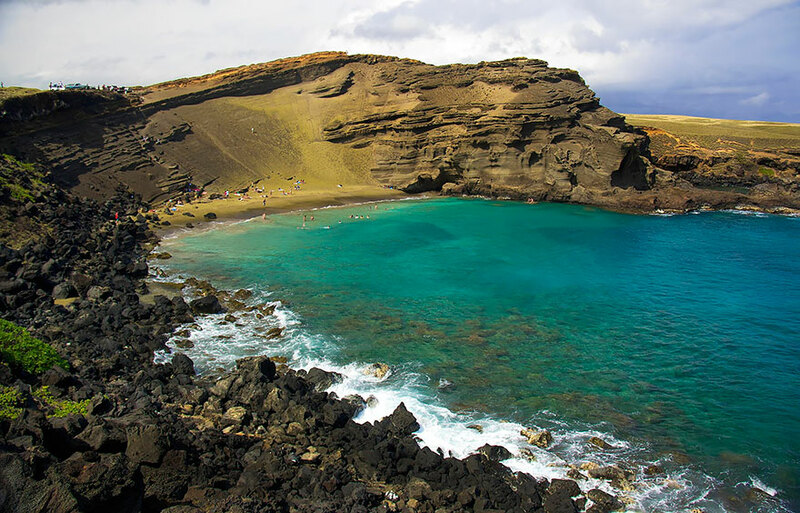 The Marieta Islands have always been completely uninhabited, making them ideal sites for military testing. 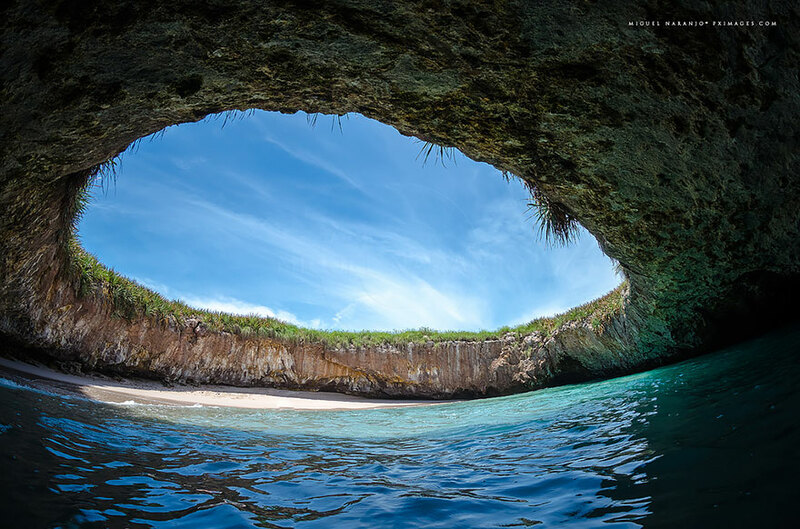 Well, who knew bomb blasts could create such beautiful Hidden Beach? 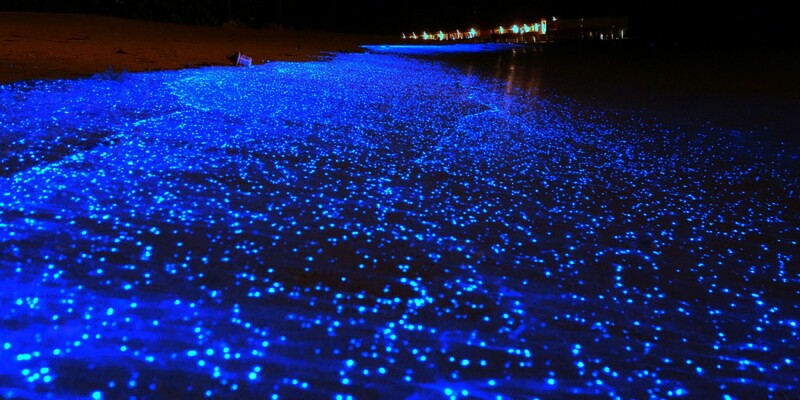 Bioluminescent phytoplankton which glows when agitated can be found in many shores all over the world. 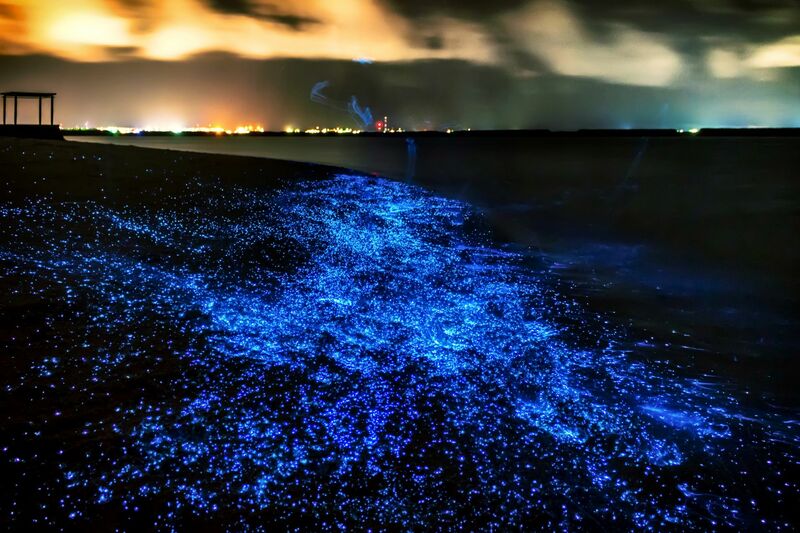 In the Maldives though , it has been taken to a whole new level. Here, you look up at the sky, you look down at the sea, and all you see are stars! 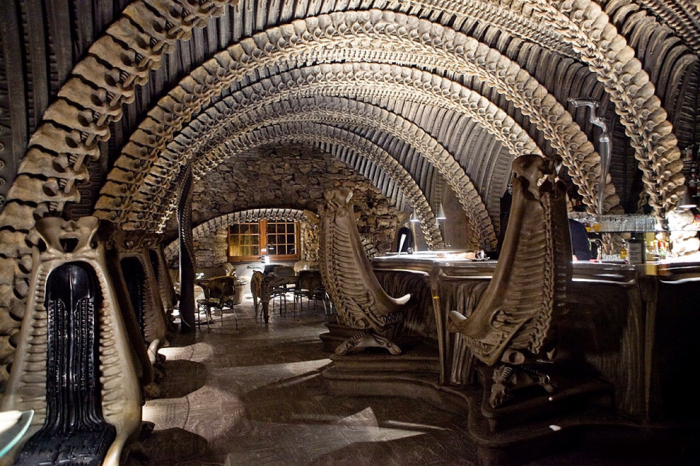 Truly, a strange beach. Eroded particles from red corals across the eastern coast of the Bahamas have washed to shore to give the powdery sand of Harbor Island a pinkish glow. 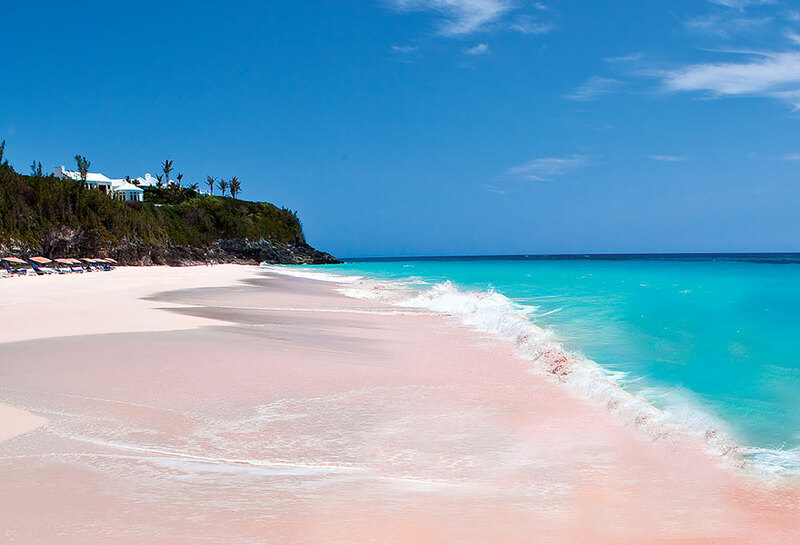 If you’re a fan of pink, this beach is the way to go. 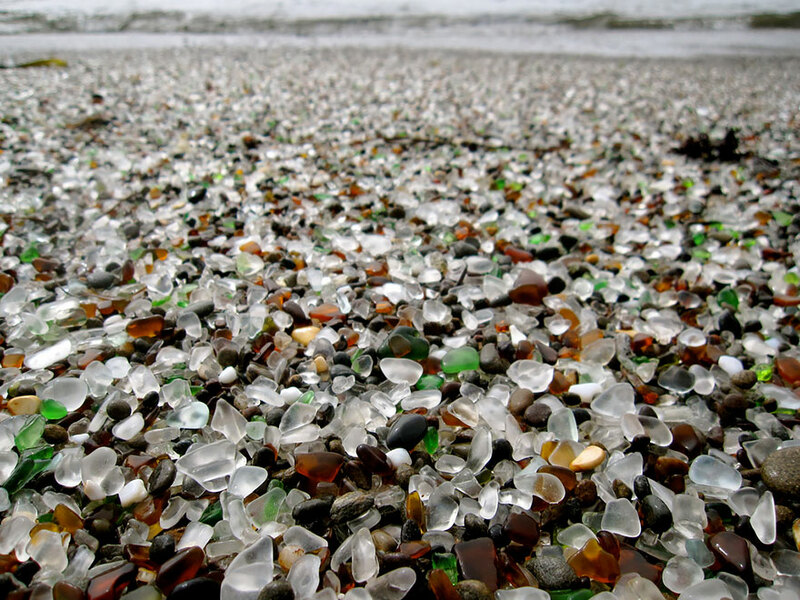 Our next strange beach is the Glass Beach near Fort Bragg in California. 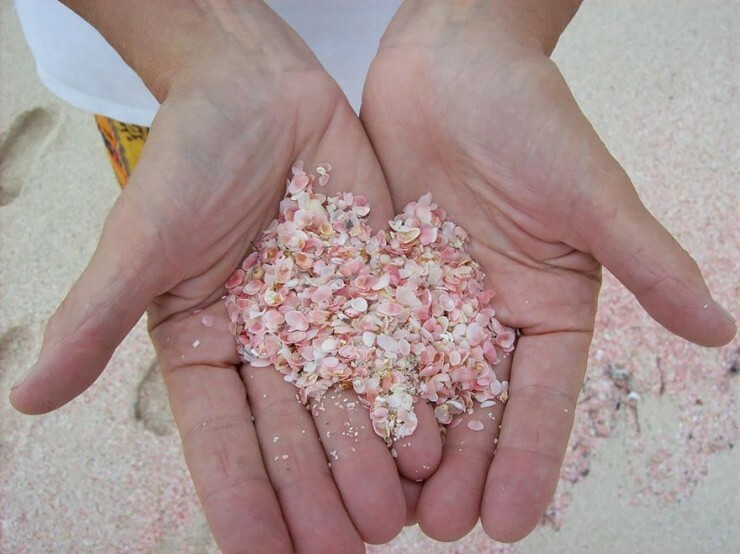 It was formed by the trash dumped there for years by local residents being pounded into the sand by waves. 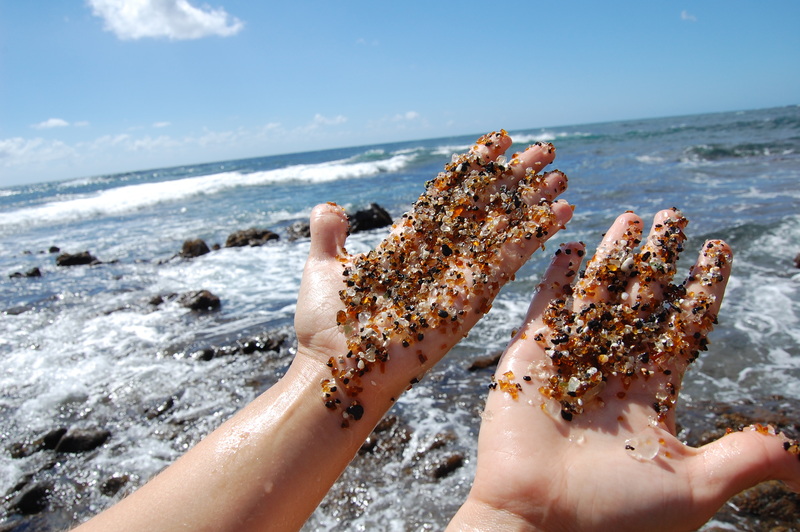 The dumping was eventually prohibited, but the glass sand remains! 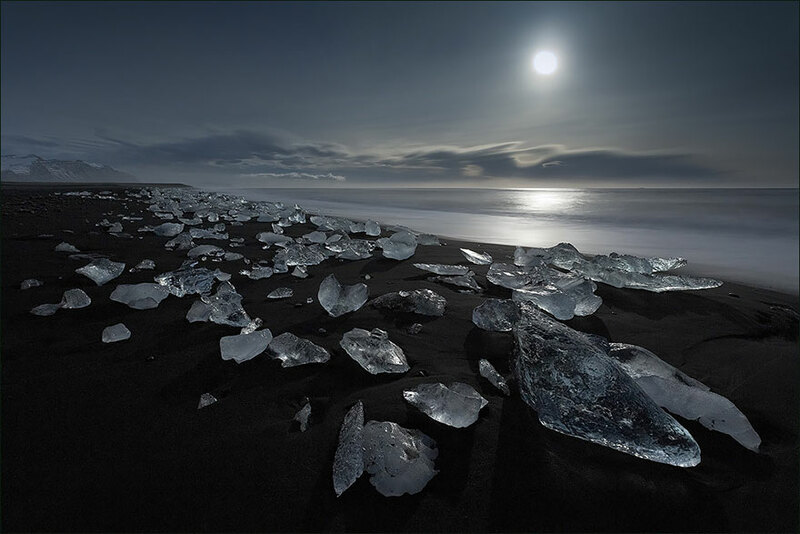 Chunks of ice like huge crystals scattered across the jet black bay make this natural scene seem right out of a dream. 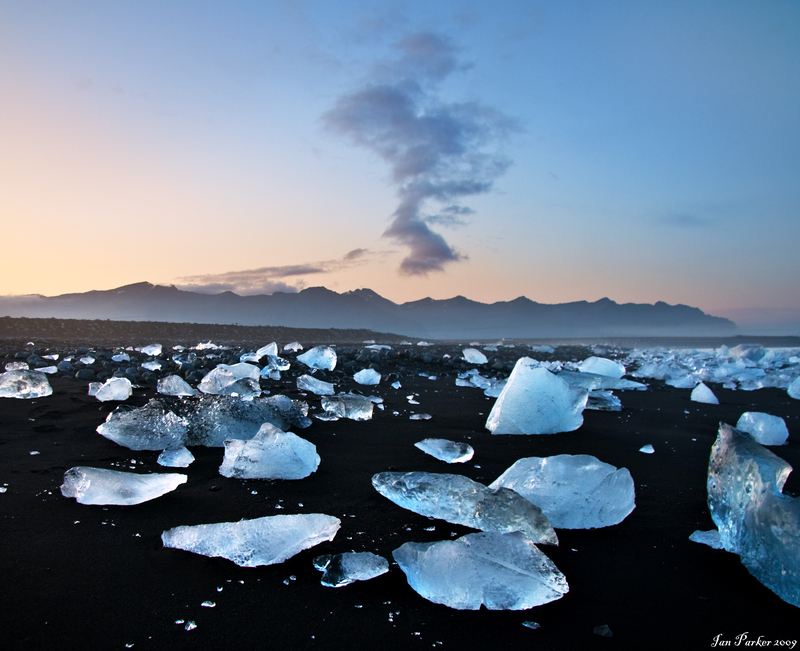 The ice comes from a nearby glacier while black sand comes from volcanic rock. 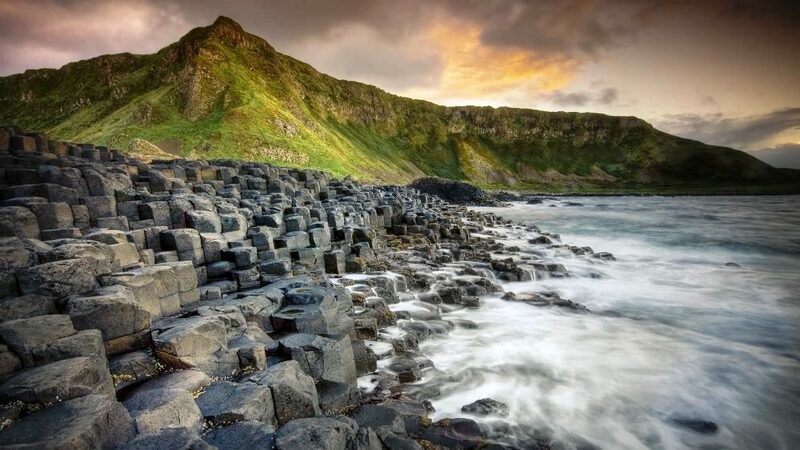 The giant’s causeway was formed 50-60 million years ago when basalt lava rose to the surface and cooled, cracking into strange large columns. MUST bring shovel to this beach! 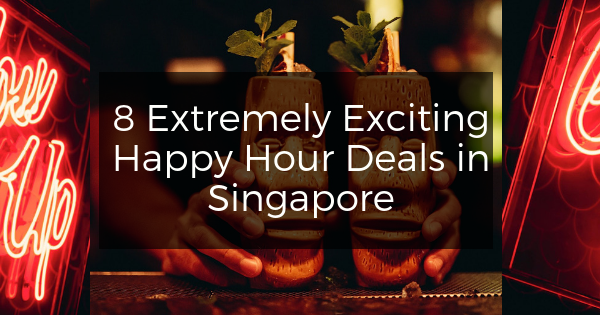 because the best thing to do here is to dig your very own DIY spa. 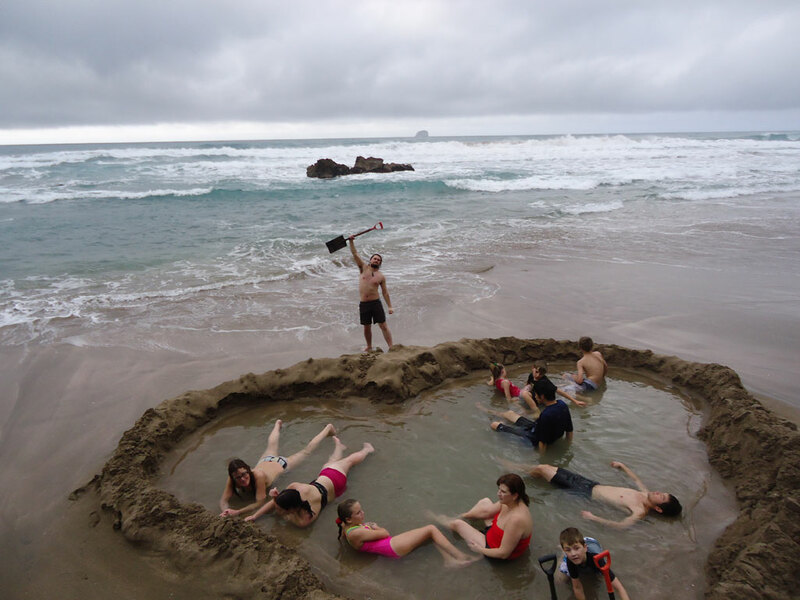 This geothermal beach can get as hot as 64°C (147°F), its heated water spouting from two nearby underground springs. 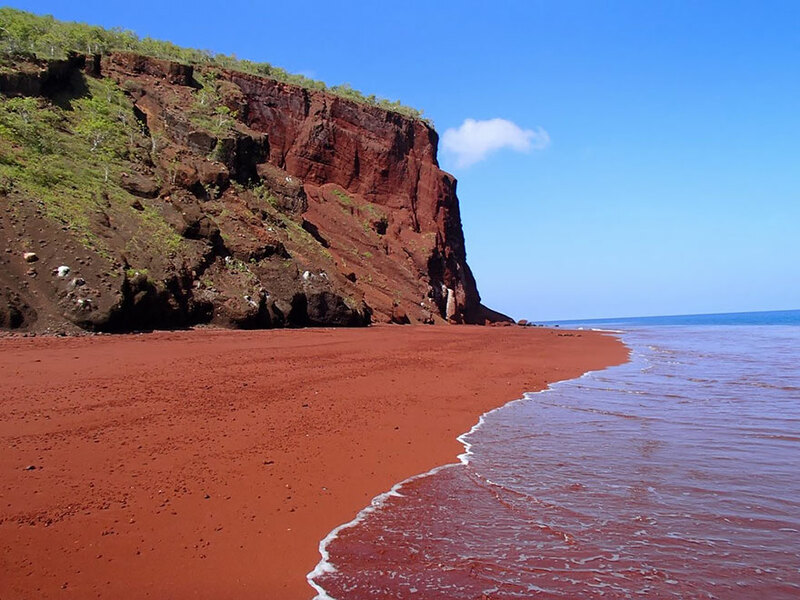 The red sand at Rabida was formed due to the oxidization of iron-rich lava deposits. 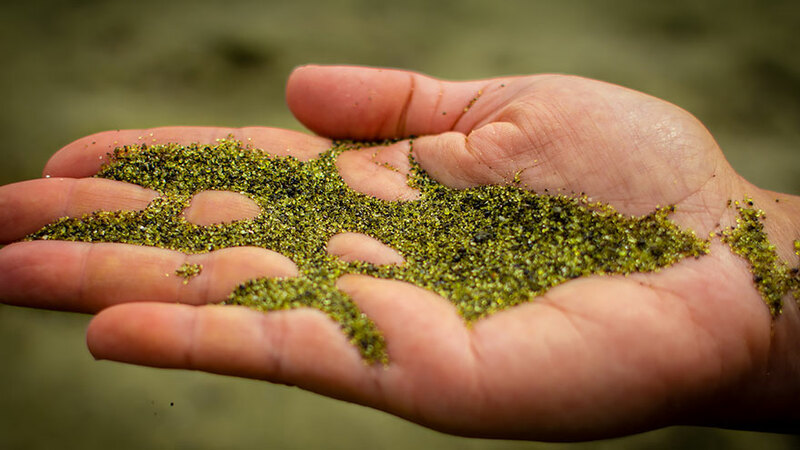 Although it is said that it could also be due to washed-up coral sediments. 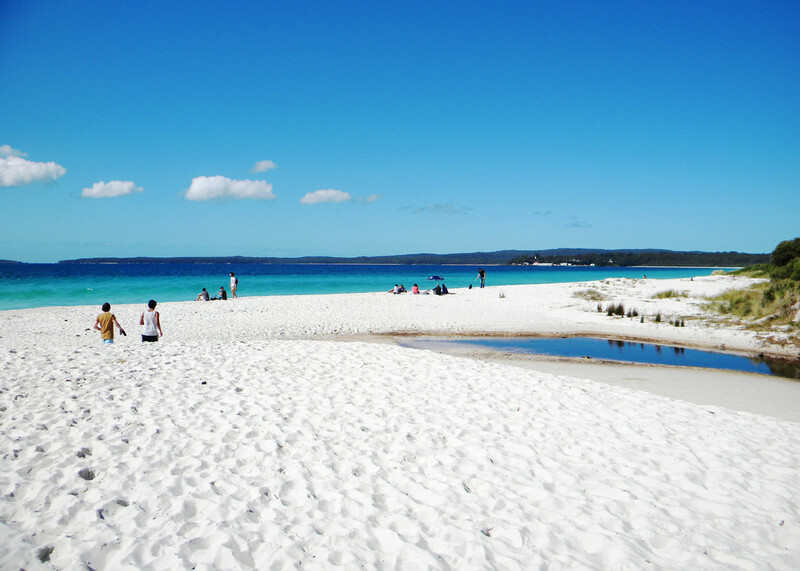 Hyams Beach holds a Guinness Record for having the whitest sand in the world. It’s like snow in summer! 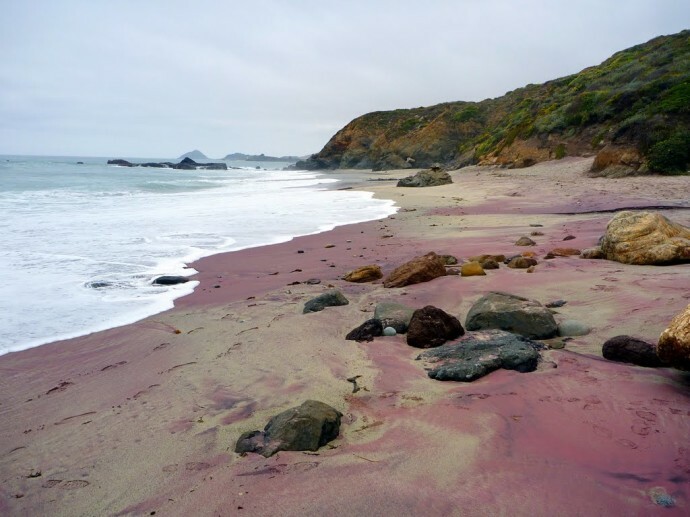 The purple tint of the sands of Pfeiffer Beach comes from its dominant mineral quartz combined with manganese garnet deposits found in the surrounding rocks. 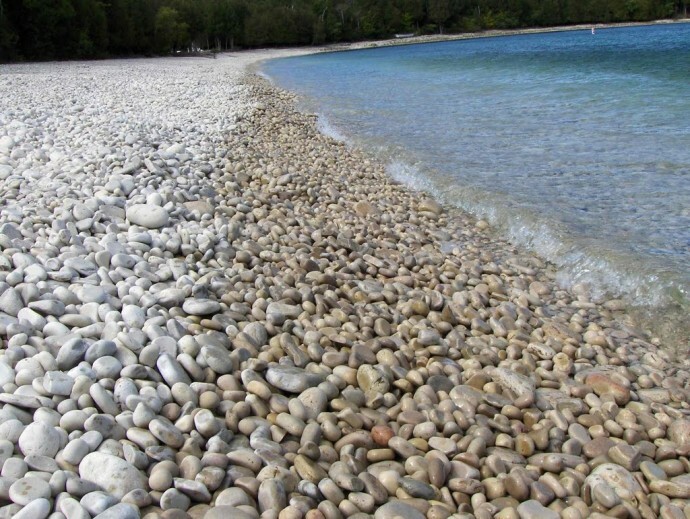 Instead of icky sand, this beach is covered in smooth limestone rocks that have been glacier-polished for thousands of years. 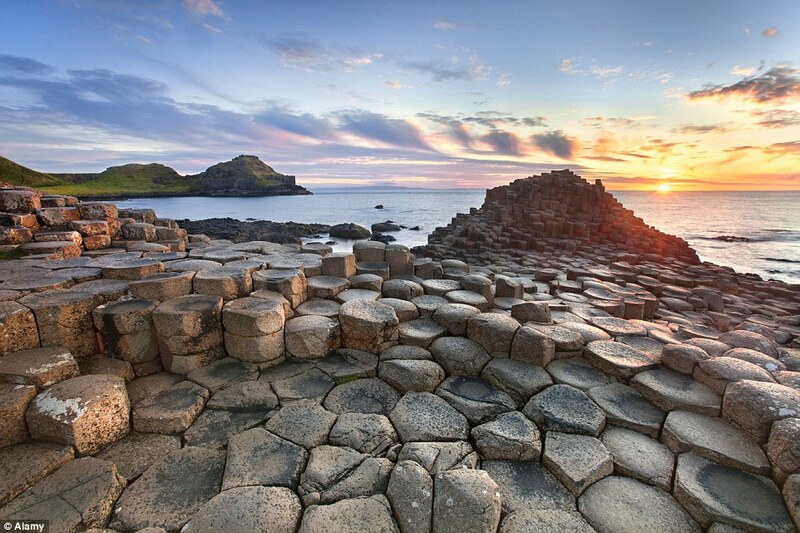 Each small rock is a geologic treasure that anyone caught trying to take home has to pay a steep fine for. 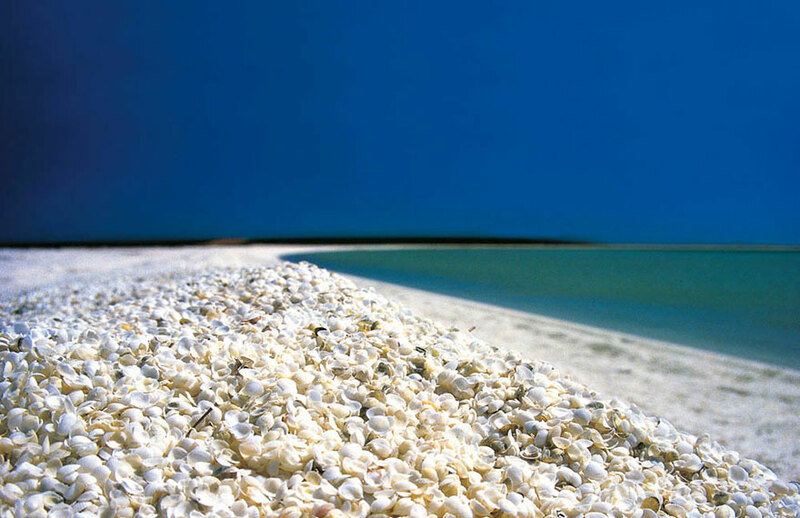 A 7 to 10 meter thick layer of cockle shells covers the entire shoreline of this fascinating beach. There are two reasons for this. Firstly, due to the high salinity of the water, cockles proliferate abundantly. Secondly, there is an absence of its natural predators, who cannot survive in such harsh environments. 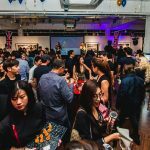 Previous Article 10 Spookiest Halloween Events Happening in Singapore! 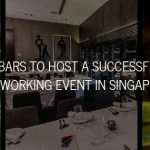 Next Article 7 Romantic Dessert Spots in Singapore!